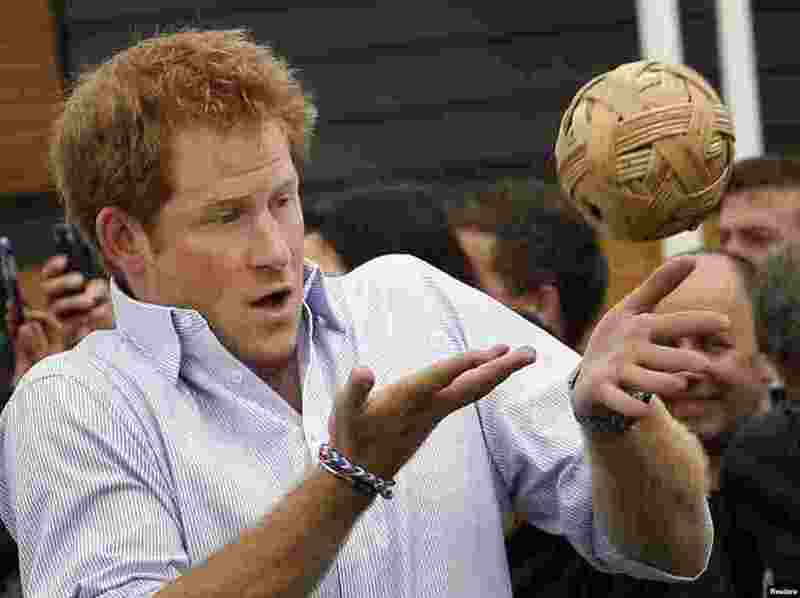 5 Britain's Prince Harry plays with a ball during a visit to the Commonwealth Games Village at the 2014 Commonwealth Games in Glasgow, Scotland. 6 An employee pours water over a doll's head before brushing its hair inside the toy factory owned by Norberto Garcia in Buenos Aires, Argentina, July 28, 2014. 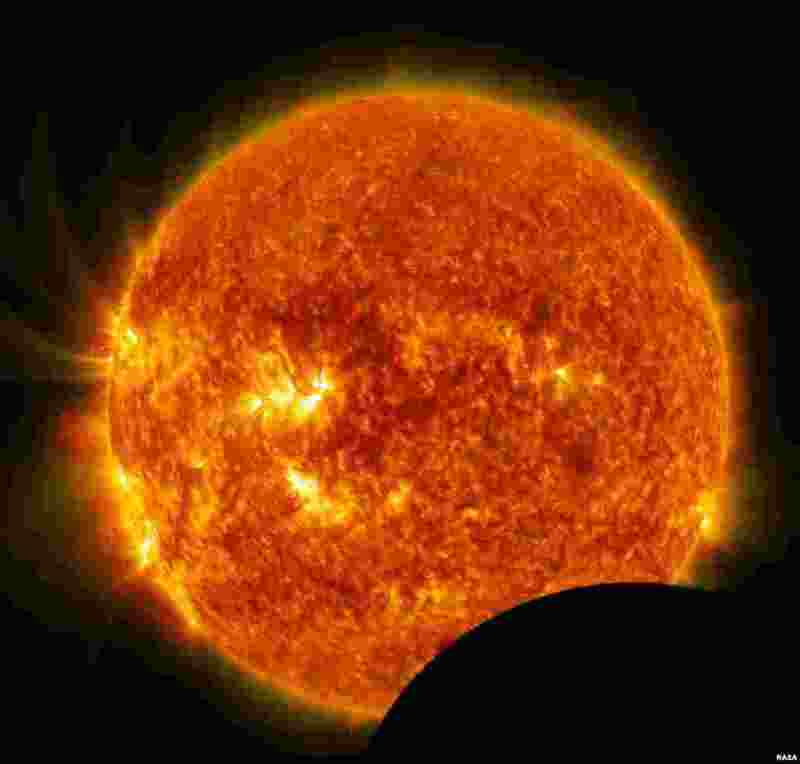 7 On July 26, 2014, from 10:57 a.m. to 11:42 a.m. EDT, the moon crosses between NASA’s Solar Dynamics Observatory (SDO) and the sun, a phenomenon called a lunar transit. A lunar transit happens approximately twice a year, causing a partial solar eclipse that can only be seen from SDO. Images of the eclipse show a crisp lunar horizon, because the moon has no atmosphere that would distort light. 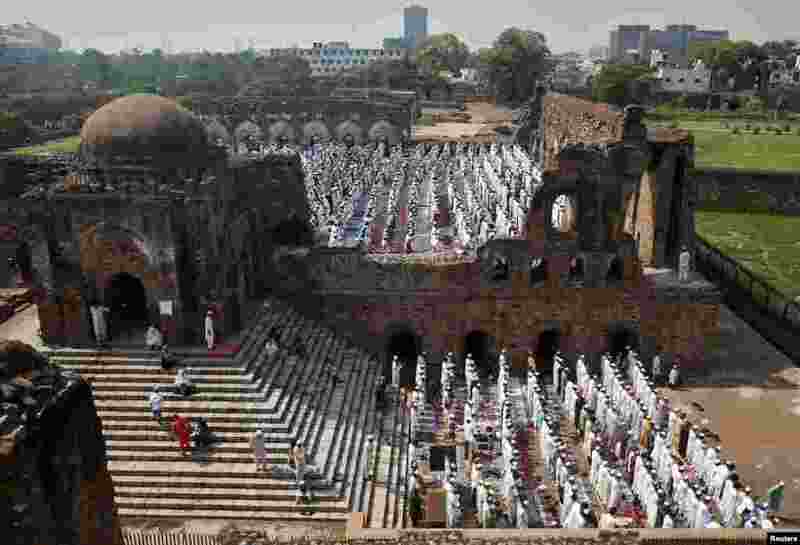 8 Muslims offer prayers at the ruins of the Feroz Shah Kotla mosque on the occasion of Eid al-Fitr in New Delhi, India.